My grandmother on my father's side was known as "Ione Mary Brand" and was this was how her marriage certificate and death certificate lists her names. Ione was born on 01 November 1920 and baptised on 05 November 1920. 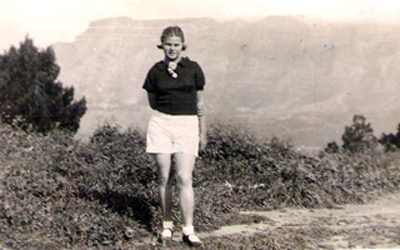 Ione worked at the Cape Times (a newspaper based in Cape Town, South Africa) until she got married to Pieter Johannes De Buys on 14 May 1939 at St Mary's Cathedral, Cape Town. Ione died on 08 December 1986. 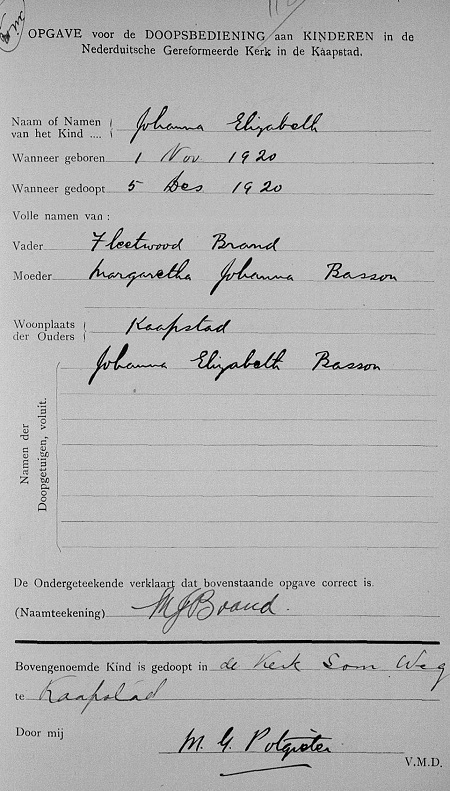 I recently, however, found her baptism record and was quite surprised when I found that it listed her as "Johanna Elizabeth Brand". Does anyone know of any reason why Ione changed her names and/or when she changed them? Very interesting blog. Enjoyed reading it.